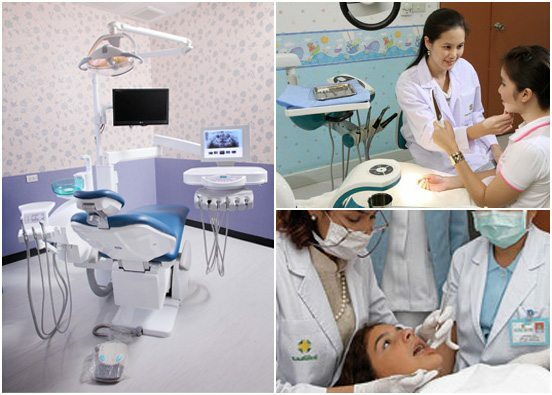 Our dental clinic is one of the most trusted in Thailand. We provide exceptional care to the local, expatriate and international communities. Samitivej has received the prestigious JCI international hospital accreditation and is globally recognized for its outstanding record. Our state-of-the-art technologies make it possible for you to receive the best dental care possible. Available treatments at the Samitivej Sukhumvit Hospital Dental Clinic range from significant surgeries to mild cosmetic repairs. We provide complete disease prevention, diagnosis and treatment for you and your family. If you are looking for advanced treatment, visit our Orthodontics Unit, where we offer services such as crown implants, corrective braces, tooth whitening, oral surgeries and root canal operations. Our team of dental specialists and highly-trained staff are held to the highest professional standards. All are adept at using the latest medical equipment. To ensure that the hygiene of our facilities is impeccable, we use equipment adhering to international sterilization standards. Many of our staff have trained or worked abroad. Upon request, we are able to provide dentists who can speak English, Japanese and German, as well as interpreters speaking many other languages. Available treatments at the Samitivej Hospital Dental Clinic range from significant surgeries to mild cosmetic repairs. We provide complete disease prevention, diagnosis and treatment for you and your family. If you are looking for advanced treatment, visit our Orthodontics Unit, where we offer services such as crown implants, corrective braces, tooth whitening, oral surgeries and root canal operations. Our team of dental specialists and highly-trained staff are held to the highest professional standards. All are adept at using the latest medical equipment. To ensure that the hygiene of our facilities is impeccable, we use equipment adhering to international sterilization standards. Many of our staff have trained or worked abroad. Upon request. D.D.S, Ph.D. Aroonwan Lam-ubol, D.D.S.